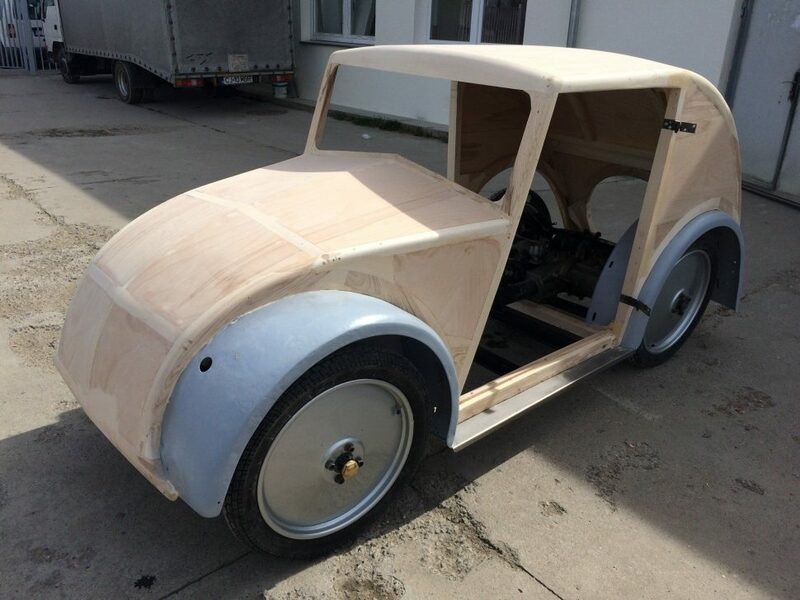 Though they came about €30,000 short of their crowdfunding goal, the duo behind the restoration of one of the few remaining Beetle predecessors built by Jewish designer Josef Ganz managed to complete the car on time and present it to the public for the first time earlier this month. 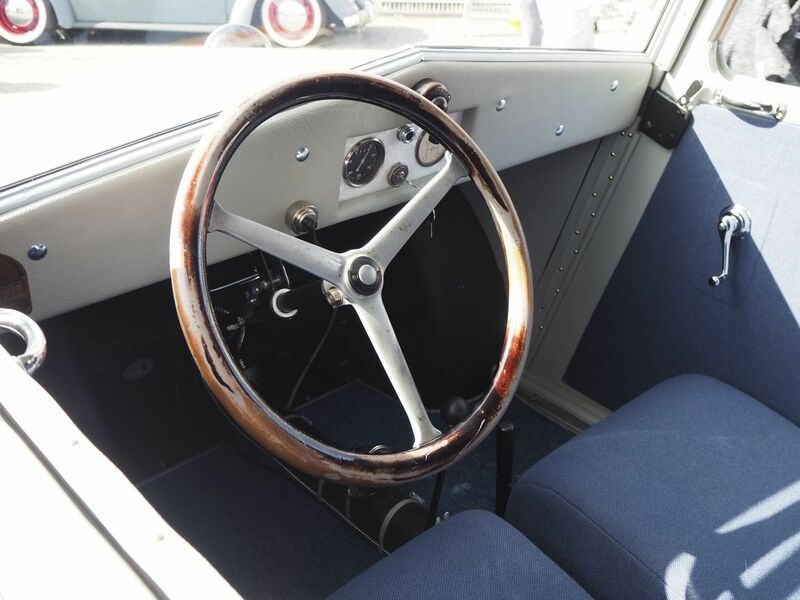 The 1933 Standard Superior — perhaps the only remaining example of the Mark I bodystyle — debuted September 9 at the Volkswagen Boxer Bergisches Land meeting in Haan, Germany, after about a year’s worth of work. Its restoration is the culmination of a project intended to shed light on Ganz and his efforts to produce an advanced “people’s car” long before Ferdinand Porsche lent his assistance to Hitler’s Volkswagen project. The restoration project came about when Dutch author Paul Schilperoord met a relative of Ganz’s, Lorenz Schmid of Switzerland, while researching his book, The Extraordinary Life of Josef Ganz: The Jewish Engineer Behind Hitler’s Volkswagen. Naturally, the two wanted to know how many of Ganz’s cars remained. Born in Hungary, Ganz emigrated to Germany in 1916 and, after studying mechanical engineering, began to promote his ideas for smaller and less expensive automobiles, first by disseminating those ideas in German trade publications, then later by convincing some motorcycle and automobile manufacturers to let him develop those ideas into actual automobiles. 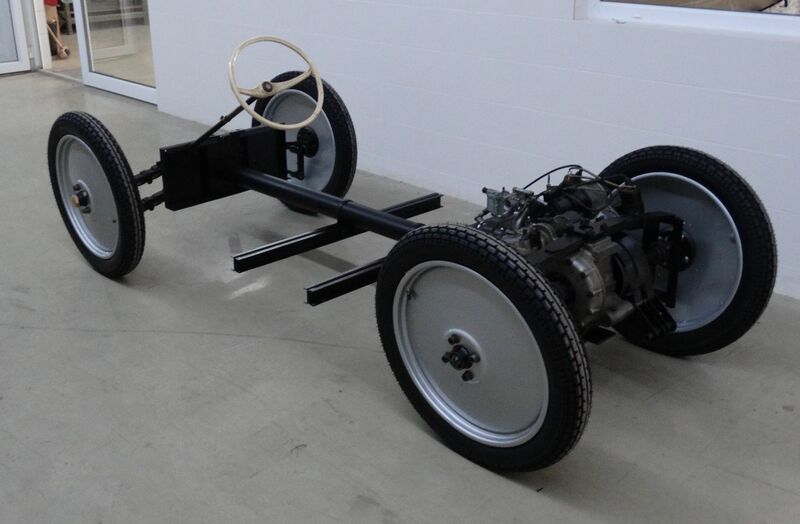 After assembling a pair of prototypes built in the shops of Ardie and Adler, Ganz then made his way to motorcycle manufacturer Standard, which put his Standard Superior – a small and inexpensive slope-backed sedan set on a backbone chassis with independent suspension and powered by a rear-mounted horizontally opposed twin-cylinder engine — into production in 1933. Offered in two bodystyles and advertised as “the fastest and cheapest German Volkswagen,” the Standard Superior sold in modest numbers — no more than 400 total — and then all but disappeared. Ganz, persecuted by the Nazis, fled to Switzerland in 1934 to continue his work, and Standard discontinued production after 1935. 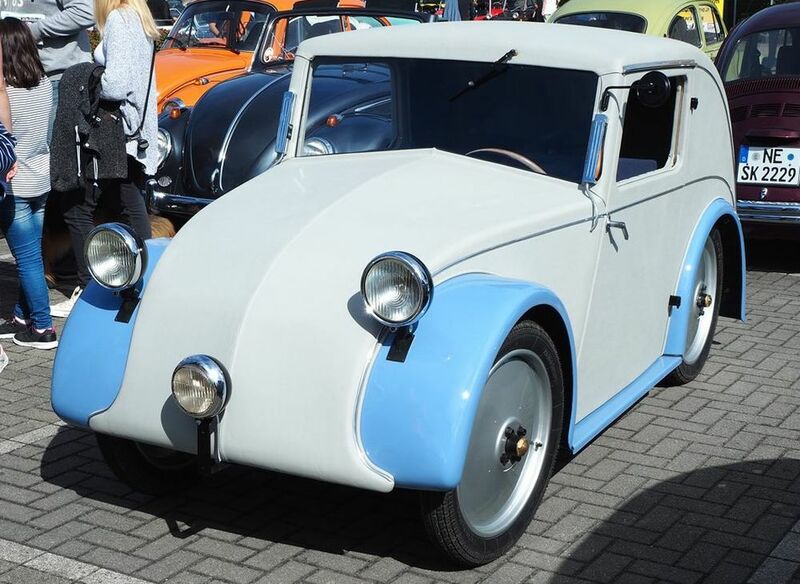 Schilperoord and Schmid’s search for existing Ganz cars turned up only a handful of survivors: the prototype built for Adler, a few of the cars Ganz built in Switzerland, two complete Superior Mark IIs, and two Superior Mark II chassis. 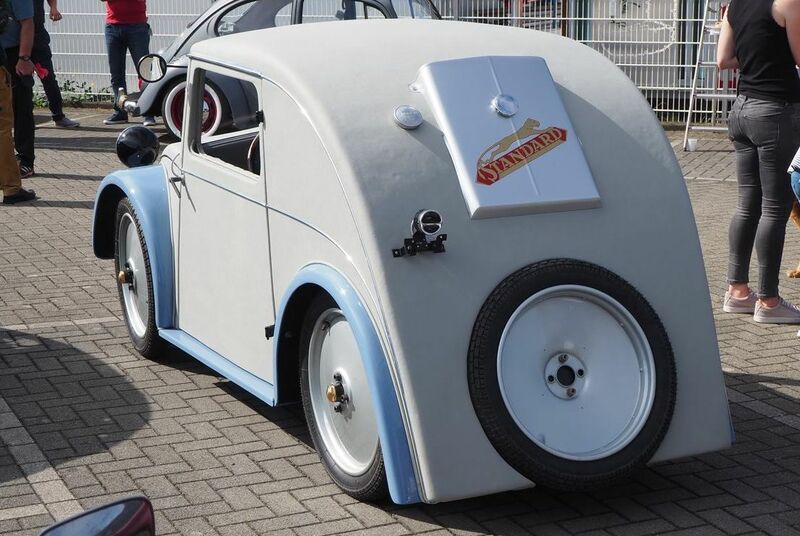 Then they located a complete Mark I chassis in East Germany under a modified Trabant P50 body but still fitted with its original fenders and drivetrain. 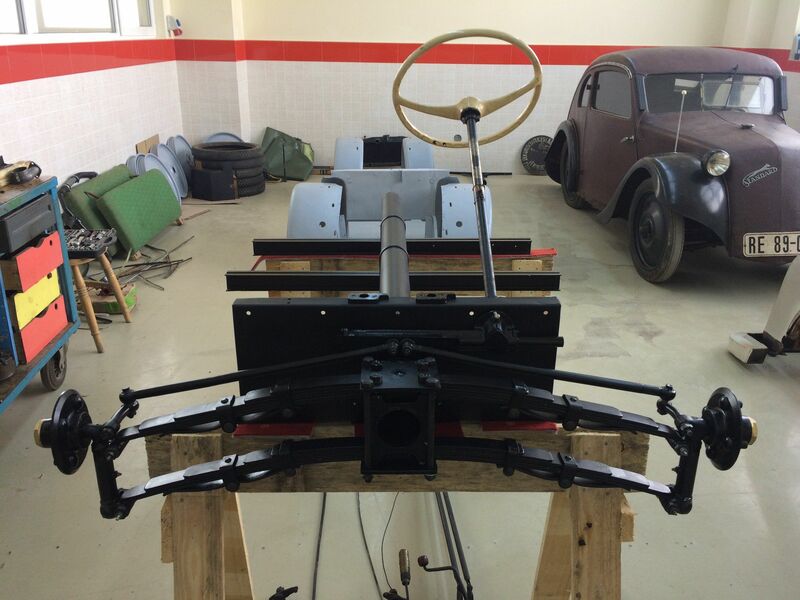 Their crowdfunding effort raised less than €15,000 out of their €45,000 goal, but Schilperoord and Schmid pressed on with the restoration and turned the Mark I Trabant/Standard hybrid over to Firma Mebero s.r.l., Dr. A. Bilciurescu in Cluj, Romania, to have the original chassis rebuilt and the Trabant body replaced with one comprised of a leather skin over wooden framework. 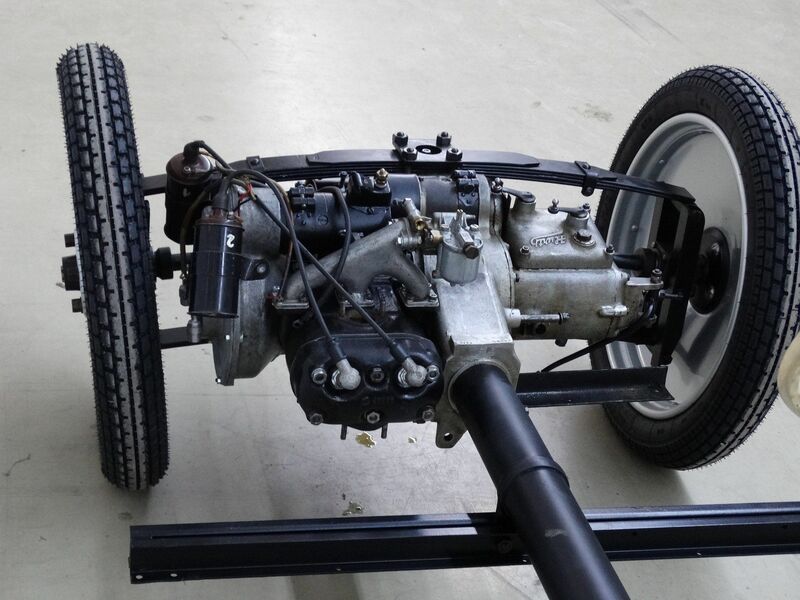 Along the way, they were also able to source a number of correct original parts for the car, though they still have to locate a correct ignition system to replace the Trabant ignition system adapted to the engine. Once they have located a proper ignition and wrap up a documentary on the reconstruction of the Type I, Schilperoord and Schmid intend to formally debut the car at the Louwman Museum in The Netherlands, which has a Type II and one of Ganz’s Swiss cars in its collection. For more information, visit JosefGanz.org.